In de voorbereiding voor ons optreden op 6 april in het Schuttershofcafe in Middelburg verrschijnen de volgende berichten op het internet…. In what must go down as one of the most unsurprising of honours bestowed on ABBA, despite active resistance towards their music in their homeland in the 1970s, Sweden has accepted the group into its Music Hall of Fame. Benny was asked if he ever had the realisation that ABBA were going to be massive: “Björn Ulvaeus and I understood very quickly that we wrote decent songs. We did People Need Love in 1972 and thought it was great. It became a hit in Germany and Holland, but we figured that if anyone else was to come to know who we are, we must probably enter the Eurovision Song Contest. But yes, we understood that ABBA was a great success. Back then, we received telexes about how we were doing, on the Billboard charts or in Spain, for example,” he said. SvD asked Benny if there is, in his opinion, any one track that totally encapsulates the essence of ABBA: “No, you’ll probably find it in about 15 of them if you put them together, they are that different,” replied Benny. “It is also a legacy of Lennon/McCartney, where they never had the same sound. For example, Penny Lane, Day Tripper or Yesterday…such a wide variety of styles,” he explained. Universal Music have announced that the official celebration of 40 years of ABBA’s global success will take place in London on Monday 7 April 2014. ABBA – The Official International Anniversary Party, which will be held at London’s Tate Modern museum, is being organised in conjunction with Max Ström Publishing who will use the event as the launch for what has been described as one of the most prestigious music books ever produced, ABBA – The Official Photo Book. In addition to the book launch, the party will feature a one-day only ABBA exhibition and an ABBA disco. One thousand tickets priced at £25 each are on sale now, limited to two per customer. In addition to the party, Universal are commemorating ABBA’s infamous Eurovision victory with two new Waterloo releases. 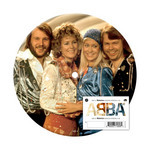 On 6 April, a limited edition, 7″ vinyl picture disc featuring both the English and Swedish versions of the single will be released (a pre-order link has shown up on Bengans.se) and the Waterloo CD – Deluxe Edition which has been expanded to include 8 bonus tracks, a DVD and 20 page illustrated booklet, will be out on 7 April. Both are available to pre-order now. A completely revised and updated edition of what is widely regarded as the definitive ABBA book, Bright Lights Dark Shadows – The Real Story Of ABBA, by renowned ABBA historian Carl Magnus Palm, is now available. First published in 2001, Bright Lights Dark Shadows was the first true, full-scale biography ever written about the group. At the time it was described as “an instant classic – a truly great account of the rise and fall of a legendary group and a multiple biography of rare insight”. A paperback edition was published in 2002, followed by a German language version (Licht und Schatten) in February 2003, with a Russian translation later the same year. Of the new edition, Carl Magnus Palm told icethesite: “The 2014 edition takes the book bang up to date, to the very latest chapters in the ABBA saga, including the extraordinary events of 2013 with Agnetha’s new album and the opening of ABBA The Museum. “I even managed to squeeze in a mention of Agnetha’s appearance on Children In Need in the UK, just before the book had to go the printers. “It was really important to me that the book was as accurate and as compelling as it could possibly be. Without being big-headed, I know for a fact that this is the book most media people turn to when they need to research ABBA’s history, and so it is vital that it lives up to that ‘status’. From my own perspective, I now feel that Bright Lights Dark Shadows – The Real Story Of ABBA is the book that a major pop music phenomenon such as ABBA deserve,” he said. Beginning with the early days of the four ABBA members, as well as their all-important manager, Stig Anderson, this section details their childhood and pre-ABBA careers. It analyses all their musical influences and gives the reader important background information necessary to understand ABBA’s cultural roots. Covers the period 1970-1974, the years during which the four members enjoyed an on-off collaboration that gradually led to the formation of a permanent group. The main section of the book, details ABBA’s years of worldwide fame from 1974 to 1982, including the ups and downs of their career, the bumpy road that made up the two couples’ married life, the stories behind some of ABBA’s most famous songs, some analysis of their musical development, the dramatic rise and fall of their business interests and more! The fourth section describes what happened to the four members and Stig Anderson after ABBA split up, including the rift between the group and their manager, and what happened to the fortune they made. It also describes the ABBA revival, and the success of Mamma Mia! the musical. In 2008 an updated paperback edition was published featuring an additional chapter covering the period 2001-2008, and in August 2011 an audio book was also released. A Kindle version will be made available in the future. En we kijken uit naar de live cd !! !